Hi, I am Dhritiman. 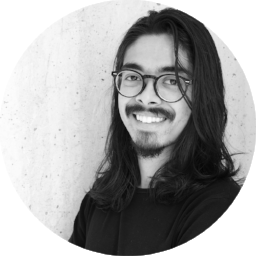 I am a 5th year Interaction Design student at the Oslo School of Architecture and Design. I am passionate about design and I love working in cross-disciplinary teams. I am in my pre-diploma and I will graduate in the summer of 2019. I call myself an interaction designer, however, almost half of the projects I have done have included roles very different from interaction. I am proud of that. I approach design with a very rational mindset, but, I do not shy away from out of the frame experimentation. I am the guy in the design team who would be most loved by the engineers and coders. I prefer working in teams where people are direct and honest; teams where people say what they mean. I love making things which people can see and interact with and I use this as early as possible in a process. I do not take myself seriously and I have perfected the art of making people laugh on/with me. Apart from design, I love to travel, read, watch good movies and to take pictures. I have recently started with film photography and it is a delight. Download PDF Version of the CV. We, as a team of three, started a t-shirt business in Bangalore in India. I was the “creative lead”. We produced 6 t-shirt designs and later launched 2 notebooks. We shut the company down, but would surely someday resume it. I was the designer - at least as designerly a Civil Engineer without any knowledge of design can get. I am not proud of my work, but, I learned a lot. That experience brought me to AHO. I worked in a hospital project and led a team of 56 to build an off-site pathology lab. I also worked as a junior project manager in the hospital project. As part of the tangible interaction course, we worked with Paulus Sykehjem to inspire elderly to move. Our team made a music system, with three dummy instruments, which help elderly to enjoy music which is meaningful to them, in a social setting, while helping them move their body. We as a team of 20 people renovated a building, which was closed for more than 20 years, and turned it into a space for the community to meet socialize and connect. It also has a space for the youth of Træna and it gives them a much needed space, that was not there before our intervention. We, as a part of the design management course (40 people), in a team of 5 people, from AHO and University of Agder, worked on finding strategies to encourage sustainable year round tourism at the newly formed Raet National Park, a park where people live.